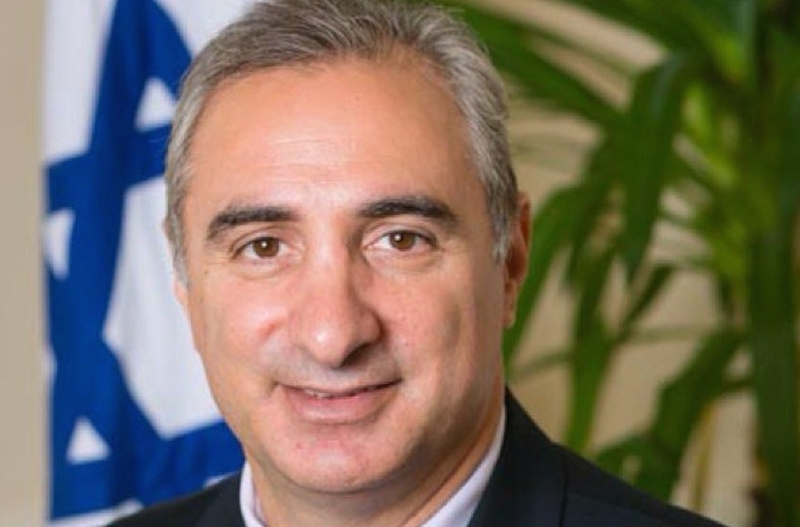 JERUSALEM (JTA) — Israel’s new ambassador to Turkey has arrived in the country’s capital to take up his post, five years after Israel’s last envoy was expelled from the country. Eitan Naeh reportedly speaks fluent Turkish, though he addressed reporters in English upon landing in Turkey on Thursday. “I am very happy to be back in Turkey as ambassador. We have a lot of work to do,” Naeh said. He thanked Turkey for assisting in fighting back the fires that raged throughout Israel in recent days by sending firefighting planes and other equipment. Naeh, former deputy ambassador to Britain, previously served in Turkey in 1993 as second secretary and then first secretary. On Tuesday, Turkey’s President Recep Tayyip Erdogan publicly accused Israel of restricting Muslim worship while calling on all Muslims to embrace the Palestinian cause and “protect” Jerusalem. Relations between Israel and Turkey broke down in the aftermath of the Mavi Marmara incident in May 2010, when Israeli commandos killed nine Turkish citizens in clashes on a boat attempting to break Israel’s blockade of the Gaza Strip. Turkey recalled its ambassador from Tel Aviv in September 2011 and expelled the Israeli envoy. Under the reconciliation agreement, Turkey was to drop legal claims against the Israeli military and individual officers and soldiers who were part of the Mavi Marmara raid. Turkey’s Justice Ministry has ordered a court in Ankara to close all lawsuits against Israeli soldiers who raided the ship. In October, Israel paid $20 million in compensation to the families of the Mavi Marmara victims. Prime Minister Benjamin Netanyahu had previously apologized for the deaths, which had been another Turkish condition for the resumption of diplomatic ties.